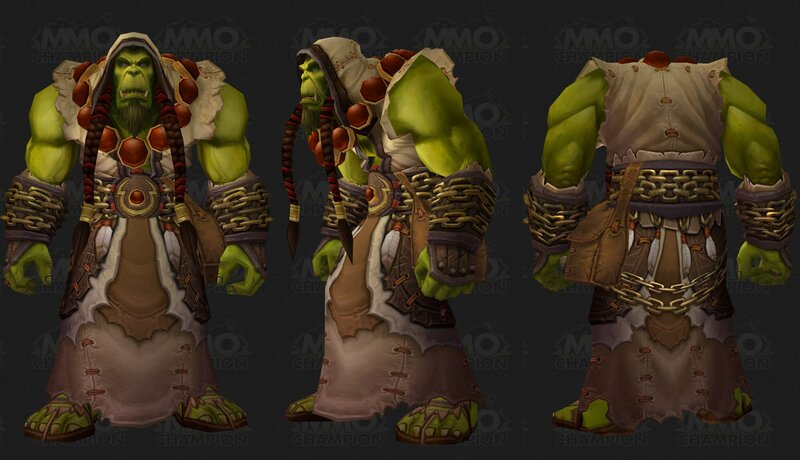 Yes, Thrall does have a new model. All I can tell you is he looks more like a shaman now, but if you truly want to see it, go look for it at MMOChampion; I assure you, it look's as badass as Malfurion and Garrosh's models. This is the version of Thrall that's present at the Maelstrom currently in the beta. He appears to be channeling some kind of spell to keep things together. The model is apparently just a placeholder and it will change before it goes live. Doesn't he have to eat and sleep? I think we everytime a player comes to the Maelstrom they should bring him food. He greeted my alliance character kindly. It's been apparent since the beginning that Thrall was well beyond the alliance versus horde squabble. I'm glad to see him tying together the warring factions. Este PNJ se puede encontrar en La Vorágine (2).